The Troubles in Northern Ireland were not something I was taught about in school, perhaps as, with the Good Friday Agreement taking place in 1998, when I was eight years old, it was not yet ‘History’ and was, and probably still is, fresh in the minds of many British and Irish people or perhaps it was to complex and difficult a situation to teach schoolchildren about, even at GCSE level. If you are looking for a film that looks into this period of history this is not it. 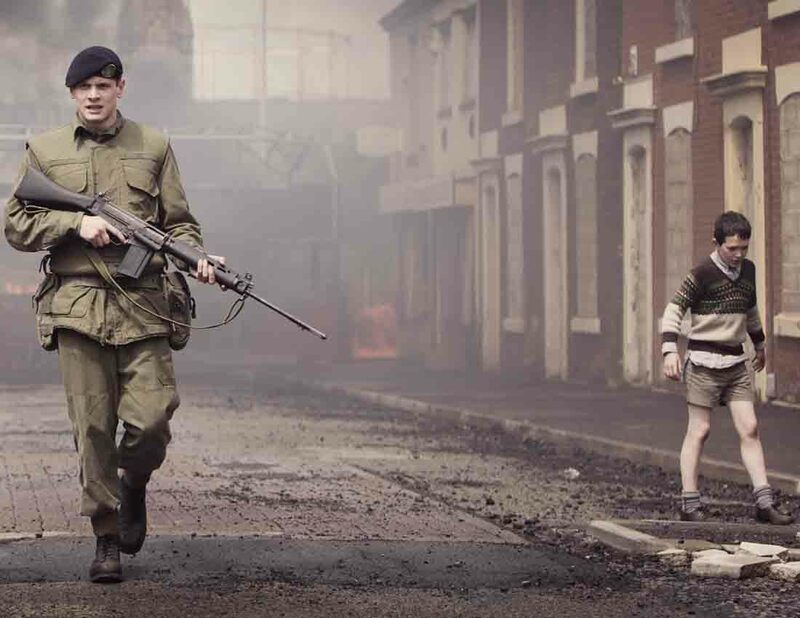 1970’s Northern Ireland is just a backdrop for the movie. It could easily have been set in Afghanistan or Iraq in the last 15 years or so, occupied France in World War 2 or perhaps any conflict of the last century. This film does not pick a side. It plays it completely neutral and straight down the middle showing that there are/were good people and bad people on both sides of the conflict. There is a line where a young child asks the main character, Gary Hook, played by Jack O’Connell, if he is Catholic or Protestant and he replies ‘I don’t know’. What you do get is a tense thriller about a young soldier stuck behind enemy lines with people out hunting for him and to ultimately kill him. The film really knows how to ramp up the tension and sense of foreboding, whether it is through a chase through the back streets of Belfast with gunmen on Gary Hook’s tail or the young private hiding in an outhouse or alley way in the dark from a mob wielding weapons and Molotov cocktails. This is done superbly by the direction of Yann Demange and the soundtrack which helps set the mood. I felt more tense and ‘scared’ watching ’71 than I have watching many modern horror films. There is also a scene involving a bomb blast in a pub which is so realistic and effective it feels like you were in the explosion itself while sat in your cinema seat. Jack O’Connell is undoubtedly the star and the most important character in the film but has very little dialogue. It would not be surprising to find out that many of the supporting cast had more lines than him. However his performance is not hampered in any way at all. O’Connell seems to thrive in this role and can express his emotions, the fear and panic felt and the aggression and anger in a few scenes without needing to open his mouth. 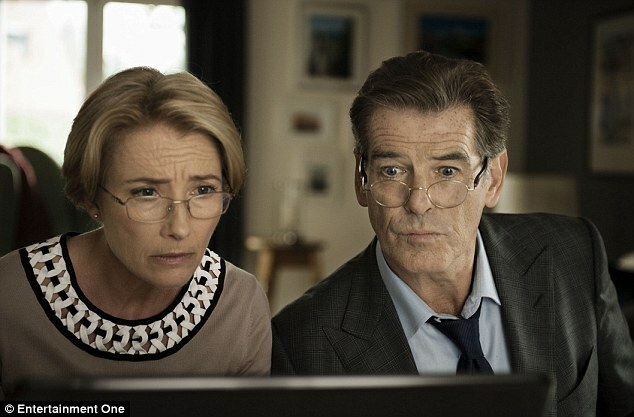 Unfortunately it is not all positive and the film does let itself down towards the end. ’71 has a subplot involving some undercover agents which never really adds to it in anyway but as it comes to the fore in the closing stages it kind of takes the sheen off of a very polished film. Still the film is easily worth watching and is certainly one of the best British films of 2014 and will hopefully be considered that come award season. O’Connell is set for big things following this and turns in Starred Up and Skins and it will be interesting to see how he does in the Angelina Jolie directed Unbroken later this year. ’71 is still in cinemas right now, catch it before it drops out. You can also hear Steve, Owen and Carole talk about ’71 on the upcoming podcast!